Have you ever wondered why there are so many rhyming picture books around? Of course, they're wonderful to read aloud and babies and young children just love them but it's no accident that so many of the best picture books for kids are written in rhyme. The short answer is that rhymes and the kind of rhythmic language found in rhyming picture books actually help children to learn about how language works in a way that stories and everyday speech simply don't. Rhyming picture books are really a form of poetry for children and they're a great starting point for introducing little ones to poetry. Rhymes and poems of all kinds help children develop important pre-reading skills and it's never too early to start reading them aloud. Of course, there are loads of rhyming picture books in book shops and libraries and most of them are pretty good. The ones on this page are truly great though and they make a great starting point. This delightful book makes a wonderful gift for a new baby. In fact, a copy signed by Mem and Helen was given to Britain's new baby prince, Prince George of Cambridge, on behalf of the people of Australia! The illustrations and rhyme are just gorgeous. This book was a huge favourite with my twin sons from the time they were about two. 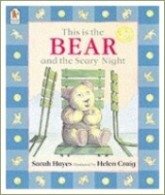 It's the story of a bear who is accidentally left in the park overnight by the boy who owns him. The bear has adventures and is very scared before he's rescued. I think young children really relate to the idea of being left behind and the happy ending is very reassuring. 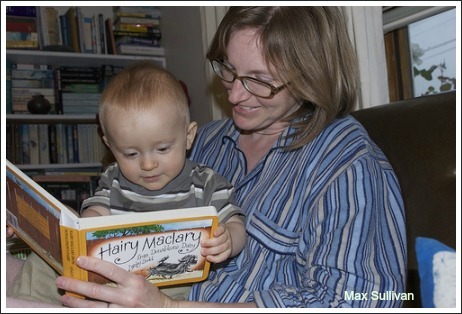 Hairy MacLary is very famous in Australia and New Zealand and deservedly so! He's a gorgeous character and the rhymes in this book and fantastic. If you like this one, there's a series of books about Hairy MacLary and his pals and they're all great fun. This is the story of Edward who's bored living at the zoo and bored of being an emu. 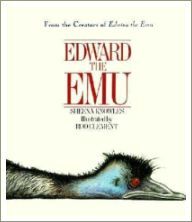 Emus are funny-looking characters anyway and the illustrations in this book never fail to make me laugh, even after all these years. If you love this book as much as my three kids did (they're all teenagers now!) you'll also love Edwina the Emu, which is just as funny. 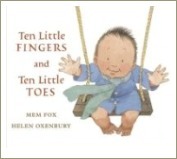 This is a brilliant book for babies and for children aged up to at least 4. Young children love trying to spot the nursery rhyme characters hiding in the pictures, as well as the gorgeous rhyming text. And even very young babies love listening to the delightful rhyme. 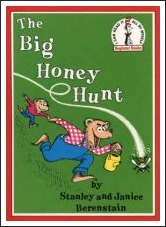 This is the story of Small Bear and his 'smart old Dad' who together go looking for honey, only to be faced by one danger after another. The book's been around for many years but is still a huge favourite for its humour and gorgeous illustrations. 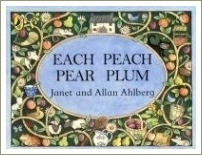 My sisters and I loved this book as kids and so did my own three children. I still have our dog-eared, much-loved copy of this book! All the Dr Seuss books are written in rhyme and children love them. 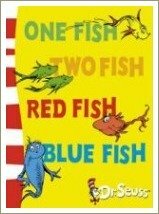 Start with One Fish Two Fish Red Fish blue fish or choose from any of the 44 books written and illustrated by Ted Geisel aka Dr Seuss. The illustrations in these books are just hilarious. A great book for reading to children aged from about 2 years up.